TravisBickle (Grade: A) An emotional end to an amazing journey. 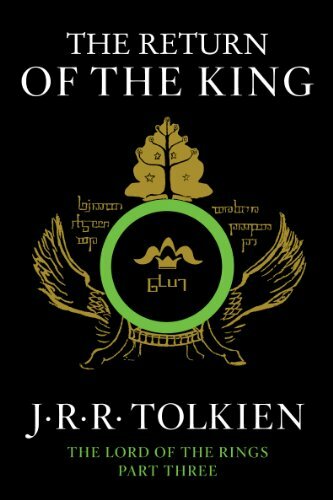 My second read of Lord Of The Rings and hopefully not my last. Hyzie (Grade: A) A phenomenal ending for an epic trilogy. epaulettes (Grade: B) 2 chapters in, I realized why I'd never finished this book as a teen. It's as meandering as Book 1, but you're not being slowly introduced to Middle Earth, you're being thrown into a world war with many players you just don't care about (the movies did a great job streamlining these random forces of Men). Teenage me's eyes glazed over. But I (like Pippin & Merry) found my feet along the way, and the cathartic, hard-won victories that come are well worth the long journey taken to get there.